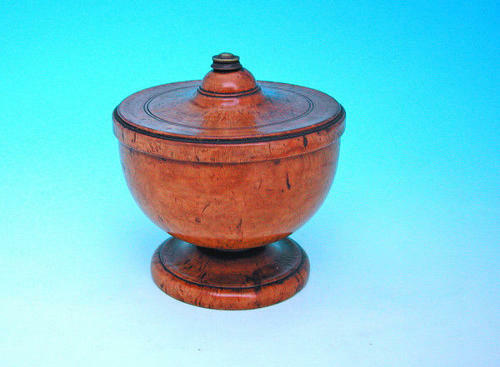 18thc Treen Birch Spice Pot. Scandinavian C1760-70. A wonderful example of an 18thc piece of treen , this beautiful Birch Spice Pot has a lovely colour,a pleasing shape and has come from the collection of Jonathan Levi, author of Treen for the Table.